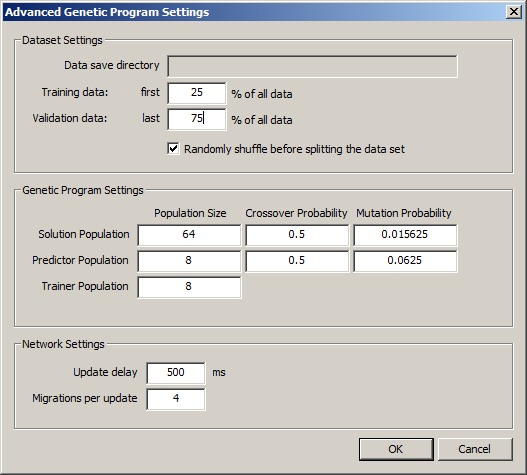 Eureqa automatically splits your data into groups: training and validation data sets. The training data is used to optimize models, whereas validation data is used to test how well models generalize to new data. Eureqa also uses the validation data to filter out the best models to display in the Eureqa user interface. This post describes how to use and control these data sets in Eureqa. 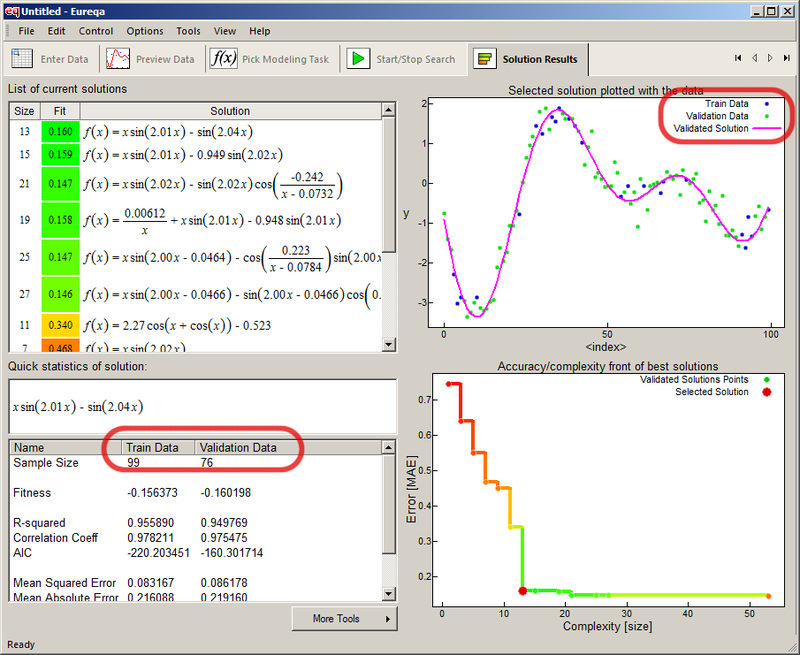 All other error metrics shown in Eureqa, like the “Fit” column and “Error” shown in the Accuracy/Complexity plot, use the metric calculated with the validation data set. Here you can change the portion of the data that is used for the training data, and the portion that goes into the validation data. The two sets are allowed to overlap, but can also be set to be mutually exclusive as shown above. For very small data sets (under a few hundred points) it is usually best to use almost all of this data for both training and validation. Model selection can be done using the model complexity alone in these cases. For very large data sets (over 1,000 rows) it is usually best to use a smaller fraction of data for training. It is recommended to choose a fraction such that the size of the training data is approximately 10,000 rows or less. Then, use all the remaining data for validation. Finally, you can also tell Eureqa to randomly shuffle the data before splitting or not. One reason to disable the shuffling is if you want to choose specific rows at the end of the data set to use for validation. 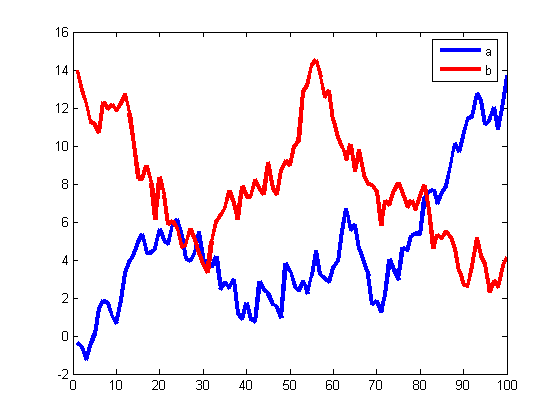 If you are using time-series data and are trying to predict future time-series values, you may want to create a validation data split that emphasizes the ability of the models to predict future values that were not used for optimizing the model directly. Now, the list of best solutions will be filtered by their ability to predict only future values – the last rows in the data set which were not used to optimize the models directly. 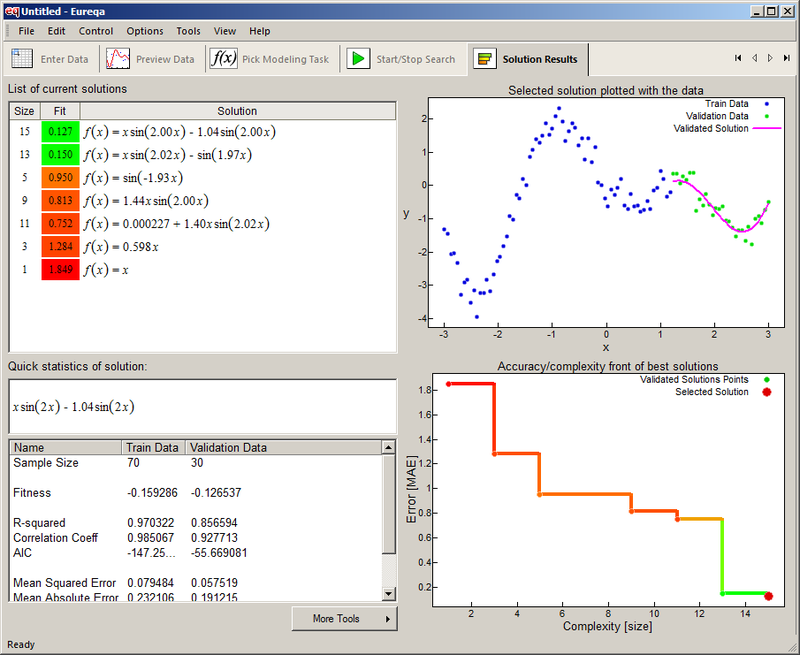 Several features in Eureqa assume that your data is one continuous series of points by default, such as the smoothing features and numerical derivative operators. This post shows how to tell Eureqa that there are breaks in the data. Without a break, the smooth would attempt to blur the two distinct series into a single smooth curve. While normalizing your data variables (rescaling the numeric values) is completely optional, it can greatly improve the performance of Eureqa, and numerical stability of solutions. 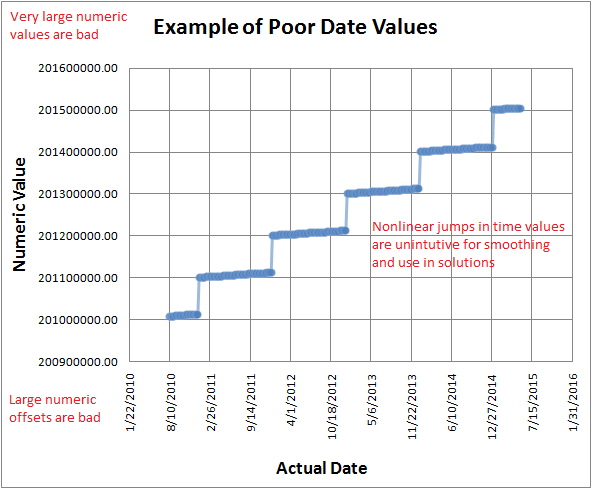 This post discusses when and how to normalize variables in your data. When to Normalize:Eureqa works best when all variables in your data have small to medium magnitudes, on the order of 1 to 100. For example, if you have any variable that ranges over a million, it would be best to rescale the values to larger units. Additionally, the magnitudes of the variable should be similar to the mean or offset of the variable. For example, if you have a variable that only varies between 100.0 and 100.5, it would be best to subtract off 100 so that it ranges between 0 and 0.5. 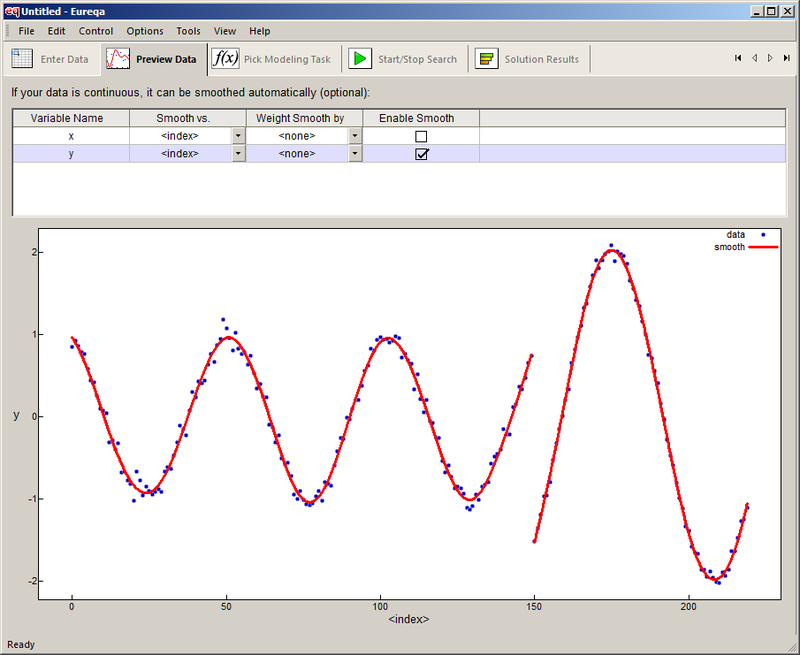 Now we can see the interesting variation in both variables, as they now have the same relative scale and magnitudes. This is ideally how we want our data to look before entering it into Eureqa. When the variables are reasonably scaled, Eureqa is most likely to utilize their variation to build accurate solutions. 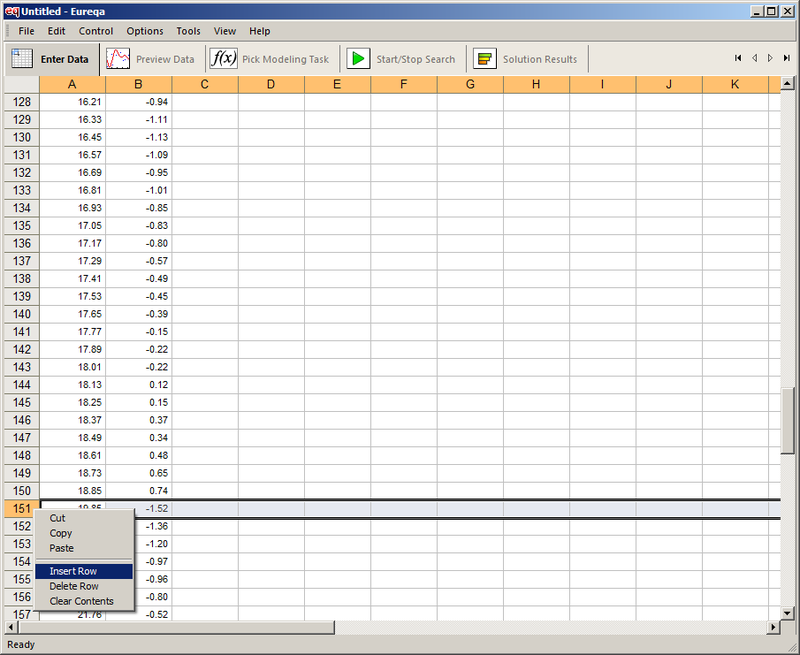 First, consider changing the units of the data you enter into Eureqa. Could you measure values in meters instead of centimeters? Could you measure currency in millions-of-dollars instead of dollars? Pick units such that the numeric values have a range of approximately 1 to 100. 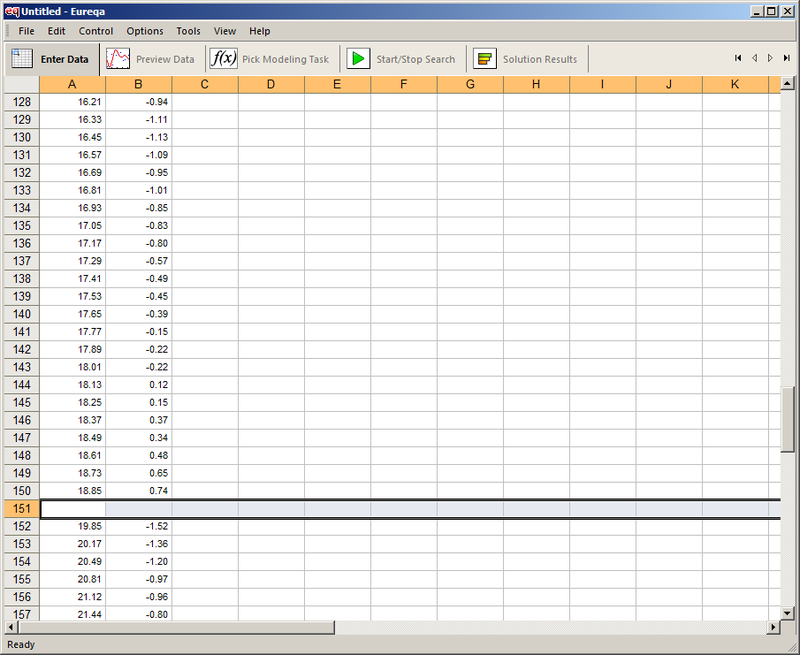 Second, consider measuring values from an offset. Could you measure time since the time of your first data point, instead of since the beginning of the year or century? Third, check over your data; look for outliers. Are there any values that are drastically out of proportion with the rest of the values? If so, consider removing this entire row in your data set or giving it a very low weight. 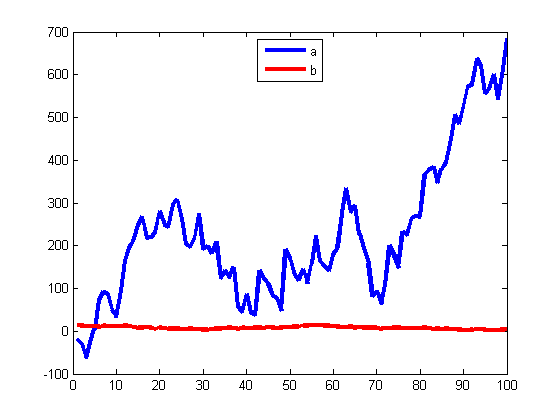 where offset and scale are the normalization parameters. It’s recommended that you pick offset and scale manually, so that the numeric values still have an intuitive meaning. However, if you truly don’t care what the numeric values mean, a common approach is to set offset equal to the mean of the variable and scale to the standard deviation of the variable. 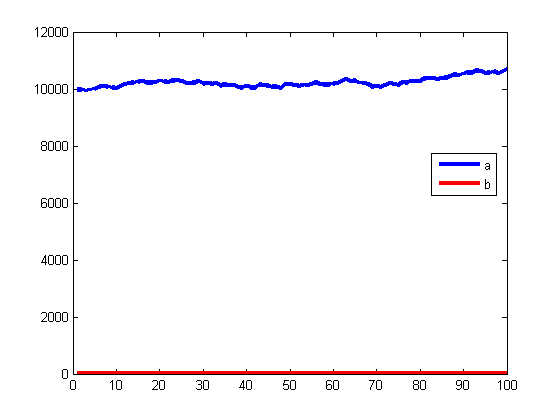 This tells Eureqa to find a model of y as a function of values of x that are divided by 1000. Here, Eureqa is telling you that the variable y has a large offset. It has a mean value of about 1000, but it only varies by +/- 1.38. 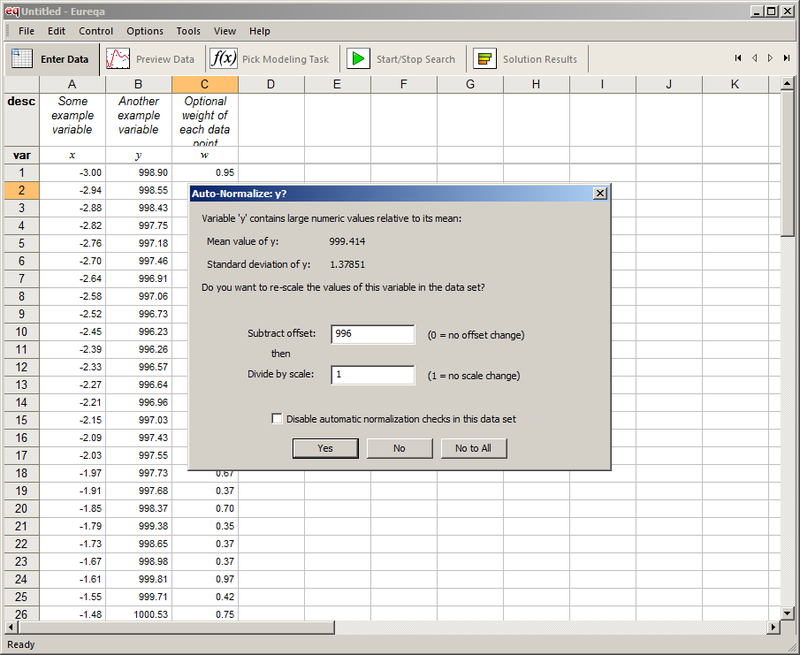 Eureqa suggests subtracting 996 from each y value in your data set, but leaving the scale unchanged. You can also modify this and specify what values to apply. Pick a scale and offset that makes sense and preserves meaning.